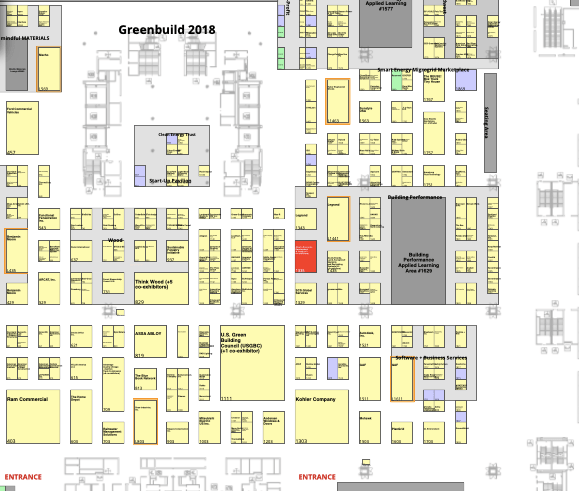 The 2018 floor plan for the Greenbuild International Conference and Expo. The booth marked red is where Just Biofiber will be at. JBF’s Terry Radford will be exhibiting at the Greenbuild International Conference and Expo from November 14-16 in Chicago. Stop by booth #1335 with Alberta Economic Development and Trade. We’ll post more pictures at the event but here’s a snapshot of our booth. Just BioFiber has been featured this week on Global News and Kelowna Now for its latest innovative off-the-grid building project. The blocks will be used to construct the EcoLock storage facility in downtown Kelowna. Along with using JBF’s environmentally friendly blocks that sequester carbon, the project has incorporated other sustainable properties into the design including solar panels and a rain water collection system. Global News cites the JBF blocks as the most innovative of all. “If we want to have a meaningful impact on climate change, large-scale commercial development needs to be more sustainable,” remarked Don Redden, CEO of Ulmus Development, the developer for the Kelowna storage project. This is certainly the vision of JBF founders Mac and Terry Radford and Michael de Champlain, a message that they want to spread. 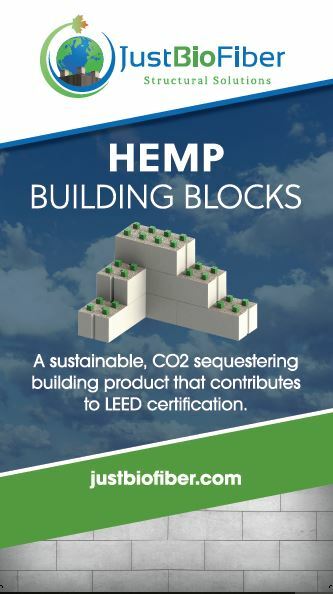 “Sustainability is a key benefit of our blocks that are very competitive with other building products and allow for better insulated buildings and more cost-effective material. Our two hour fire rated, sound absorbent blocks are ideal for industrial or residential applications” added Terry Radford. Keeping costs down will allow EcoLock to stay competitive in pricing with other storage options in the area while also making positive contributions to the environment and reducing climate change. The 112,000 square foot building is slated for completion by the summer of 2019.